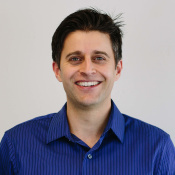 These 10 top tips for New SAT Reading below from SAT Expert Chris Lele will greatly improve your odds of success on the Redesigned SAT Reading section! Those who do well on, or improve quickly at the SAT reading sections are those who read outside of class. I have absolutely no scientific research to back this up, but I speculate that when you are not reading under some constant time crunch, the way it typically is for school, your “reading brain” can immerse itself more deeply in what you are reading. You aren’t trying to rush to the end, answer the requisite homework questions and then move on with your life. In this more contemplative mode, your brain is more likely to make deeper connections with the prose you are reading, and you are going to be more likely to take the time to consult a dictionary on the tough patches you encounter. Furthermore, those who are used to reading for long stretches of time and from a range of texts, are more likely to feel comfortable and confident on the new SAT Reading section come test day. This sentiment came through clearly in a survey we conducted with over 100 students who took the March 2016 SAT. When asked what advice they’d give to students who were taking the exam in the future, those who already took it noted reading in your day to day life as one of the most important long-term strategies. The SAT reading sections consist of five reading passages. Each is drawn from completely different resources. To give you an idea, I’ve excerpted the first few lines from each of the five reading passages from an SAT practice test. Akira came directly, breaking all tradition. Was that it? Had he followed form—had he asked his mother to speak to his father to approach a go-between—would Chie have been more receptive? Every day, millions of shoppers hit the stores in full force—both online and on foot—searching frantically for the perfect gift. Last year, Americans spent over $30 billion at retail stores in the month of December alone. The chemical formula of deoxyribonucleic acid (DNA) is now well established. The molecule is a very long chain, the backbone of which consists of a regular alteration of sugar and phosphate groups. Close at hand is a bridge over the River Thames, an admirable vantage ground for us to make a survey. The river flows beneath; barges pass, laden with timber, bursting with corn; there on one side are the domes and spires of the city; on the other, Westminster and the Houses of Parliament. Follow the money and you will end up in space. That’s he message from a first-of-its-kind forum on mining beyond Earth. The motivation for deep-space travel is shifting from discovery to economics. The past year has seen a flurry of proposals aimed at bringing celestial riches down to Earth. You’ll likely find some of the writing above relatively straightforward, some a little bit more difficult to get through. The SAT intentionally varies the reading difficulty throughout the section. It wants to see how well test takers can handle different levels of textual complexity. Most readers will not struggle with the textual complexity found in Passage #1 and the first passage of the dual passages. Here, the challenge might be trying to read the passage relatively quickly and retain much of what you’ve read. Most students will do well on these passages. Passages like Passage #4, on the other hand, are much more difficult. The sentences are long (check out all those semicolons!) and in the case of Passage #4 the writing is not direct, it’s evocative, calling to mind a certain time and place. Sometimes the text will be challenging because it is taken from a source written hundreds of years ago, when the style of language was very different from what we have today. This might be the most difficult type of passage for students. This shouldn’t be too surprising since the reading is not only dense and complex but features phrases and words that are no longer in common use. The best way to improve your comprehension is—drum roll!—reading 19th century literature. You might already have to read the Bronte sisters or Charles Dickens in school. If so, consider yourself lucky (I know, it might be tough to make that rationalization). However, if you aren’t, you’ll want to pick up a book and start reading. The great thing is you’ll start to pick up on the language and sentence patterns sooner than you think, and that’s often because many of these books make for great reading, you’ll find yourself zipping along once you get past the first few chapters. Also, you don’t have to read the real complex stuff. Doyle’s Sherlock Holmes, Bram Stoker’s Dracula, Mary Shelley’s Frankenstein are classics for a reason. I’d recommend starting with one of these, if you are unsure how to begin. 2) Opinion pieces in contemporary magazines, newspapers, etc. “Ethnic fiction” is my tag to describe a work of fiction in which the main character is from a different country or is a hyphenated-American: Chinese-American, African-American, Mexican-American, etc. I don’t think anyone necessarily needs to practice this kind of reading. It is usually low in textual complexity. Passage #1 is one such example. This is the type of reading that you might not do a lot of in high school but that is all around us. Pick up an issue of Scientific American or Discover and you’ll see articles that might be titled “Are we related to the Neanderthals”, “Have scientist been vastly underestimating the number of planets in the Milky Way. Offering some similar science-based writing, but focusing more on politics and economics, The Atlantic Monthly offers great articles that are similar in textual complexity as those on the SAT reading section (who knows, perhaps the College Board might even lift an article from the Atlantic to use on the test you end up taking). For those who are interested in current affairs/state of the world, this is a great way to learn about these things and beef up your reading. If you are already strong in this area, though, you might want to focus your spare reading time in areas, say 19th century literature, in which you might be weaker. Finally, the Best Science and Nature Writing, which is released each year, is a collection of great non-technical science writing. You’ll likely be surprised at how well these pieces draw you in, and help give you insight and appreciation into an issue you likely never thought about before. This tip is closely related to tip #2. When you are reading far and wide, basically in the way described in points 1-5 above, you will want to make sure not to choose something that is so difficult that you feel you don’t really understand most of what you are reading. Sometimes it’s hard to know exactly when you’ve crossed the line from “merely hard” to “what the heck is this saying? !” Often, we get bored and struggle to focus when reading is relatively challenging. That is not a bad thing, necessarily, and is a hurdle that you can overcome. Contrast to, trying to read an excerpt from 18th century philosopher, who apparently never heard of a period—and who is discussing some arcane matter in a high abstractly way. During your SAT prep, you might never get comfortable with the highest level of textual complexity; the main thing, though, is that you find the level that you are a little bit uncomfortable at. Start reading at this level until you become more confident. Then, up the level so that once again you are a little uncomfortable. Maybe, the article linked in tip #2, “Is Google Making Us Stupid” was a little too challenging at first. Try something slightly easier and come back to it in a couple of weeks. Reading is not a linear process. Or at least it shouldn’t be. So don’t read, stringing word on word, hoping that meaning and epiphany will emerge in the final sentence. You should read for meaning. To do so, pause every few sentences, paraphrasing what you’ve just read. Far from costing you time, simplifying what you’ve read by reflecting back on it will help you retain more information. You won’t spend time going back and rereading sentences. Indeed, you’ll likely develop a deeper understanding of what you’ve read and you’ll end the passage knowing the general ideas. This will help you answer the questions much faster! I know, I’ve already mentioned this. Writing, either fiction or non-fiction from the 19th century (or even 18th, as you’ll sometimes see on the test) is very difficult to understand. At first. Spending time with these texts will help you on the SAT reading section and will even help you in certain undergraduate courses, especially if you decide to go the Humanities route. For a more in-depth take on the books to read, see tip #2. Once you’ve become relatively comfortable with the reading, you should begin with the passages. 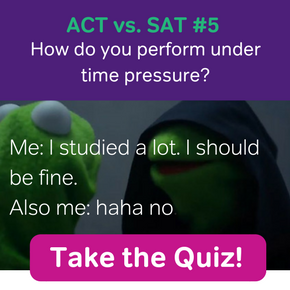 I would have never recommended this with the old SAT, in which getting the question right had so much to do with understanding the traps in the answer choices. 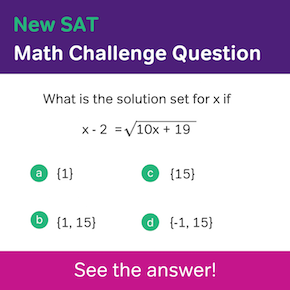 Sure, there are some traps or at least issues with the answer choices (see tip #7), but so much has to do with comprehension that it best to follow New SAT Reading Tips 1-5 as soon as possible. Not to be forgotten are the new question types. You should be comfortable with these before taking your actual SAT. 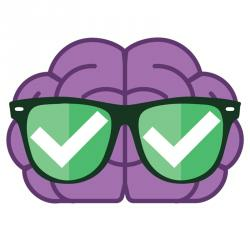 Potentially, the most confusing redesigned SAT question type is the evidence-based reading, which has never been part of the SAT, or for that matter the ACT, PSAT, GMAT, GRE, MCAT, LSAT, (insert standardized test here). You don’t really need to worry too much about this question, as long as you understand the format, which I’ll describe below. Evidence-based reasoning questions will always be made up of two questions. The first question will be a standard SAT question. The thing is it usually will not contain a line reference. In other words, you won’t know where in the passage to look. Which reaction does Akira most fear from Chie? A) She will consider his proposal inappropriate. B) She will mistake his earnestness for immaturity. C) She will consider his unscheduled visit an imposition. D) She will underestimate the sincerity of his emotions. Another reason I’m putting so much focus on this question type is that there is a way to “game it”. What I mean by that is you can approach this question using a helpful strategy that the test writers themselves wouldn’t tell you about: do both questions at the same time. The logic here is the following: notice how the first question doesn’t give you any indication of where in the passage to look. You can likely spend precious time trying to figure out where in the passage to find the information. Or…and here is the big part…you can look at the second question first. Specifically, note how each of the four answer choices gives you a specific line. One of these lines is the answer to the question. 2) Go back to the lines referenced in A) through D) in the second question, keeping the question above in mind. 3) Once you’ve chosen the line that best answers that question, go back to the answer choices in the first question. It should be much easier now, identifying the correct answer. Other question types you’ll have to know about are vocabulary in-context. These questions will ask you to figure out how I a specific word is used in the context of the passage. 1) Read question and look back to the quoted line in the text (in this case line 68). Do not go directly down to the answers. 2) Read one sentence above where the quoted word appears. Read up to the quoted word, but don’t actually read the word. Instead, think of your own basic word that would go in the blank. 3) See which one of the answer choices your word is closest to. Even when you understand the passage, there is no guarantee that you are going to correctly answer the question. Some of the answer choices are close to the correct answer, but not quite. Here are some traps that the SAT continues to use, though not quite as deviously as they did on the old test. One trick the test will use is to have an answer that would be correct were it not for one word or phrase that invalidates the answer choice. The reason this is tricky is students, especially under a time crunch, are likely to grab onto words that sound familiar and right, while discounting the one or two words that are fishy. The test writers also create correct answers in language that isn’t as straightforward as the trap answer. That way you really have to focus on what the answer choice is saying. Sometimes the question says “disagree” but you read “agree”. Other times you might read the wrong line reference. This might seem unlikely to happen to you, but remember under timed pressure, so you are likely to speed up slightly. That can lead to these sorts of careless errors. Sometimes an answer can be correct, meaning that it is clearly supported by the passage. However, that answer choice doesn’t really answer the question. In other words, the question isn’t asking about the part of the passage you are looking at. This kind of error isn’t too common, but you should be aware of it. Being familiar with these different kinds of error types should help you identifying why you missed a question. This knowledge will help you be on guard against a similar mistake in the future. This goes back to the idea of understanding your reading level and improving at it. One way to do this is on SAT passages themselves. On harder passages, you’ll notice there will be certain areas in which you struggle. After you have finished doing the questions, go back and reread this part. Without the time pressure you are likely to understand these parts better. If not, consult a dictionary. Another useful strategy is to come back to difficult passages or parts of passages an hour or so later. Your brain will have had time to rest and you are likely to see the passage in a different light. This effect can become even more pronounced if you wait an entire day before rereading the passage. I know, it’s really tempting to skip reading altogether and go straight to the questions. After all, can’t you just read the question and then go to the line reference to answer the question? The answer is yes, you can. However, this is potentially dangerous. To confidently answer a question, you need to be able to understand the context of the passage, the big picture. By pecking away at little bits of the passage, you can only see the trees thereby missing the proverbial forest. If that’s not enough to dissuade you from this approach, the test writers intentionally write questions that require you to look at multiple parts of the passage. Not really understanding how does parts of the passage tie together, which is what will happen unless you read the entire passage first, can make it very difficult to answer the question correctly. Indeed, you’ll likely spend much time flailing about the passage trying to figure it out. Pacing is a huge component of the new reading test. After all, you will have to dispatch 52 questions and 5 passages in a mere 65 minutes. Given this constant time pressure, students are always in flight-or-fight mode when they are preparing. I think that it is good to get psyched up for SAT Reading practice, but it is very important to breathe. It is also important to slow down a little so you can figure out what your optimal retention is. What I mean by that is you want to be able to absorb some of what you are reading. If you read really fast, say 90 seconds for the entire passage, you are likely to retain very little. If you spend 5 minutes on the passage, taking notes, you might retain quite a lot. This second option is not very optimal. So you have to find the reading speed in which you are retaining enough information. What’s “enough”? Well, by the end of the passage you should be able to, in words an intelligent 5th grader can understand, summarize five main points that the article discusses. If it is a narrative or story, you should be able to describe the arc of the story in about five sentences. If you are able to do this you can speed up a little, but do not speed up if you are struggling to come up with your five sentence summaries. Likely, you are already reading to fast. 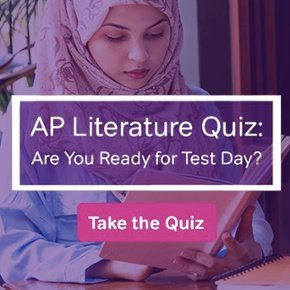 For more information on how to prepare for the SAT reading section, check out the SAT Test Prep App, which includes all of Magoosh’s reading lessons for free. The app is available for both iPhone and Android. How should I improve my reading speed. And can you tell me best 2 ways to read the reading. For example reading the passage first or the questions ?? One good way is to read the questions first and then look back at the passage for answers. A lot of students enjoy success with this approach. Another good way to read an SAT passage is to skim the passge for the basic ideas. Just look at the topic sentences of each paragraph and then glance at keywords that seem to support the topic sentence. From there, go through the questions, going back to the passage for answers as needed. I don’t recommend completely reading the entire passage before you even get to the questions. Carefully reading the whole passage first will unnecessarily slow you down. You don’t need every piece of information in an SAT reading passage. You just need to see the information that comes up in the questions. The idea here is to try to treat the questions as a study guide for the passage– a list of the things you need to focus on when you look at an SAT reading. 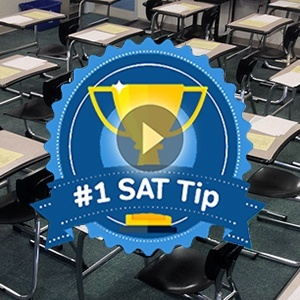 These two approaches will help you read faster, for the purposes of the SAT. It’s also good to get int he habit of focusing on paragraph main ideas and the “content words” (nouns, verbs, descriptive language) in individual sentences. This will allow you to skip unimportant words and ideas while still reading all the truly important stuff in a passage. What do you think is the best strategy to approach the reading: skim the passage then read the questions them scan/analyse the passage OR read the question(s) first and then refer to the passages, or a different approach altogether? If it is the “skim first” method, how long do you think test takers should aim to skim the passage? Also, do you think it’s better to read the question, refer to the passage then read the answer choices or to read the question, read the answer choices and then refer to the passage? Please provide some support, I really feel the reading section is bringing my total score down. TS– this is a great question. A lot of students struggle with reading pacing. Both of the approaches you’ve suggested are popular ones, and both can be good. Some test-takers go straight to the questions, while others skim the passage first. If you decide to skim the passage first, your skimming should be relatively brief. You have an average of 1 minute and 15 seconds per question, and there are an average of 10 questions per reading passage. If you spend more than 2 1/2 minutes skimming a passage, you’ll have less than a minute per question. Ideally, then, an SAT Reading passage should be skimmed in 2 minutes or less. I always advise students to try to get themselves down to 90 seconds. Also, what kind of format is the test in? a booklet, a flat piece of paper, or what? When I took the AMC, I was used to flat pieces of paper, but the actual test turned out to be in a booklet, and it surprised me. Great questions! The SAT is a test booklet. As for resources to help you practice for some of the adapted “classic” texts of SAT Reading, I won’t necessarily recommend individual books. After all, there are so many! You’ll really want to browse and choose them for yourself. Instead, I’ll recommend some websites that will give you access to those older books, so you can browse on your own and pick some good ones. Older books are nearly always in the public domain, so there are many websites where you can get them for free. Classic Reader, The Literature Network, and the US Government’s own official online classic literature archive are all great places to start. In addition, there are some good additional recommendations form Vice and Bustle.